For form-flattering shapewear that will compliment your silhouette, turn to our selection of women’s sleek bodysuits. Crafted from fabric that is both durable and stretchable, our selection of shapewear works for women of all shapes and sizes. Made with a firm control, bodysuits work to flatten your stomach, smooth your silhouette and sit beneath your bra without flattening your bust. Make use of monochrome colours for simple everyday styles, reserving neutral colours and pastel hues for lighter attire. Intricate lace detailing gives off a feminine inflection while adjustable straps and clips allow you to further alter the fit. Make use of stylish separates that emphasise your assets with a range of women’s camisole and skirt shapewear. Made from durable fabrics with comfortable cotton fibres, our shapewear separates range from medium to firm control. Turn to camisoles to flatten and smooth the silhouette around your bust and waist, taking advantage of shapewear skirts to compliment your hips and legs. Camisoles with adjustable straps allow you to improve the fit to your size while alluring lace detailing lends to a ladylike touch. 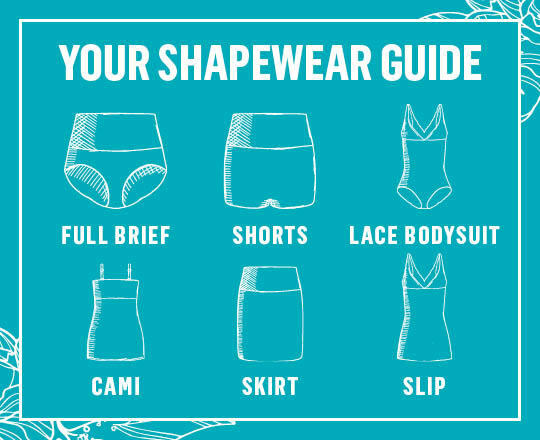 For attractive attire that will become everyday essentials, take advantage of our broad range of women’s shapewear briefs. Designed to fit women up to sizes 20, we stock designs to compliment all shapes and sizes. Available in low, mid and high-waist styles, briefs flatten your bottom and can smooth the silhouette around your hips and waist. Choose from neutral colours and monochrome tones for everyday styles that can be worn interchangeably. For a sleek selection of shapewear that will compliment your silhouette and leave you feeling confident, shop online with Best&Less. Whether it’s stylish separates to emphasise your assets or a black bodysuit with intricate lace detailing, our selection has everything a woman needs to feel confident in the skin she’s in.